Ask almost any lottery player anywhere on the globe what they think is the world’s most popular lottery, and most would likely give you the same answer: the US Powerball. Why? For starters, it’s because the American Powerball gives players the chance to win some of the world’s largest lottery prizes—in fact it currently holds the record for biggest jackpot ever—and shows no signs of slowing anytime soon. Of course, big windfalls aren’t everything (er, right? ), and Powerball’s fun “double-drum” gameplay mechanics also have a lot to do with its immense popularity. No matter how you slice it, there are very few other lotto games anywhere that offer the kind of prizes and excitement that Powerball offers, so it absolutely deserves all of the accolades and praise it regularly receives from just about everybody. And that's exactly why it has the top spot on our list of the world's best lotteries. December 1987 saw the formation of the Multi-State Lottery Association (MUSL), a non-profit US lottery concept. In its original format, it represented 34-member state lotteries, with the first draw occurring in February 1988 under the banner Lotto America. 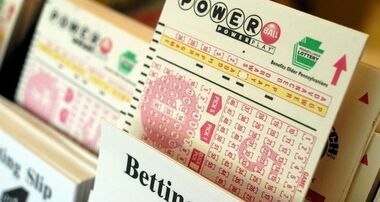 In April 1992, however, Lotto America changed its name to Powerball, at which point a revolutionary new gameplay mechanic was also introduced. This new format, which involves the two drums that are so well known and loved today, had never appeared in any previous lottery. This new mega lottery would soon become a household name, and more and more states joined in on the fun until the total number of states reached the total we see today: 44 states. As the years progressed, more features were added (or modified), a minimum jackpot amount was introduced, and eventually the rollover caps were completely eliminated. It’s because of this last change that the Powerball jackpots are able to reach such incredible heights—the $1.5-billion jackpot that made headlines in 2015 was the result of 20 consecutive rollovers! 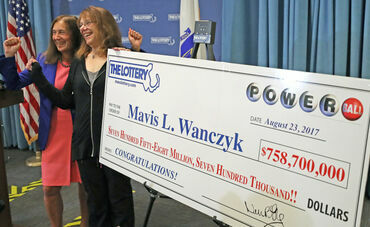 And this was just one of several times that the Powerball broke international jackpot records. Powerball is easy to enter and, within the US, costs $2 per play. Players must choose five different white ball numbers between the range 1 and 69, as well as one red “Powerball” between the range of 1 and 26 to complete their entry. Powerball players who are undecided about which numbers to choose or who are in a rush may elect to go with randomly generated numbers. Winning the grand prize (the Powerball jackpot) involves producing a valid entry reflecting 5 correct match numbers in addition to the correct Powerball drawn. Other prizes are on a cascading scale with players collecting a prize by matching one of the 9 ways to win. The Powerball jackpot minimum is set at $40 million and, because of the cap-free rollovers, there is theoretically no real maximum—the sky’s the limit. One extremely popular feature of the American Powerball that was first introduced in the early 2000s is the Power Play multiplier. What this does is multiply any lower-tier winnings (i.e. any prize that is not a jackpot or a second-tier prize, which automatically gets doubled from $1 million to $2 million) by 2x, 3x, 4x, 5x, or sometimes even 10x! Although adding on the Power Play multiplier costs an extra $1 per play, it makes playing Powerball even more exciting. Imagine thinking you won “only” $50,000 and then realizing you actually won $500,000 because you decided to spend the extra dollar! 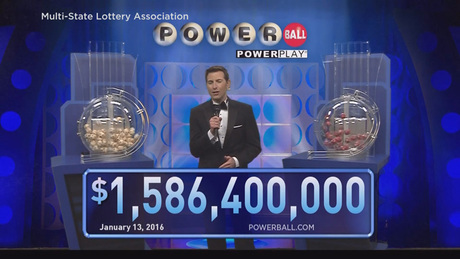 The odds of hitting the Powerball jackpot are 1 in 292,201,388. While these kinds of odds may seem nearly impossible to overcome, that doesn’t stop millions of people from all over the world playing regularly with the hopes that they will be the next ones to land a major windfall. After all, every single one of the people who won huge jackpots over the years—and there are quite a few—all faced the same odds of winning. And compared to other heavy hitters like Mega Millions (whose odds are 1 in 302,575,350) and Italy's SuperEnaLotto (odds of 1 in 622,614,630), Powerball is still better. However, your chances of winning EuroMillions would be twice as good since EuroMillions' jackpot odds are 1 in 139,838,160. Luckily, the odds of winning a secondary prize in Powerball are still quite decent. Powerball drawings occur every Wednesday and Saturday at the Florida Lottery’s Tallahassee studio at precisely 10:59 pm ET. As astonishing as these sums of money are, some of the stories behind the biggest Powerball winners are almost as crazy as the prizes themselves. You can accept your winnings as a single lump-sum cash payment or take the annuity option. With the latter, you'll pay less in taxes, but the money will be paid out to you annually over 30 years. While this is a safer option because it means you'll be less likely to quickly blow all your winnings like these winners did, a lot could change over 30 years, so keep that in mind. If you're lucky enough to win a big prize in the US Powerball, you might be subjected to either just the federal tax or the federal tax AND a state tax. This depends on which state you purchase your tickets in, as some states, such as California and Florida, do not tax lottery winnings, while others, such as Connecticut (6.99%) and New York (8.8%), do. Therefore, understanding the basics of how lottery winnings in the US are taxed is really worth your time. If you're playing from abroad, you might want to check your local tax laws to see whether your own government will also tax you once you transfer the money into your bank account. Normally, entry into a Powerball drawing is done by filling out a play slip or letting the lottery terminal pick the numbers randomly in exchange for the entry fee. While this can be done in the US easily at a lottery kiosk or online provided at the time you are in one of the participating states, there are luckily many great lottery websites that allow people from all over the world to play the American Powerball as well. Check out our ranking of the best online lottery sites to see how you can do this. Depending on which country you're playing from, your home country may also tax your winnings, so make sure to look into this if you're not sure. US Powerball – Is It Worth Playing? If you’ve read this entire article, then you’ll already know how we feel about Powerball. Featuring innovative dual-drum mechanics, reasonable ticket prices, decent odds (at least for lower-tier wins), and some of the most lucrative lottery jackpots the world has ever seen, the USA Powerball lottery is an amazing lottery game that, like fine wine, will likely only get better with age. US Powerball has been my jam ever since my uncle won $1 million back in 2012. I've plyaed it regularly ever since and though I haven't won anything lifechanging like that, Ive won some pretty awesome prizes. Yes, the odds are tough but it's a great game to play especially if you can keep your expectations realistic!